Higher, and higher… and Wheee, off we go! 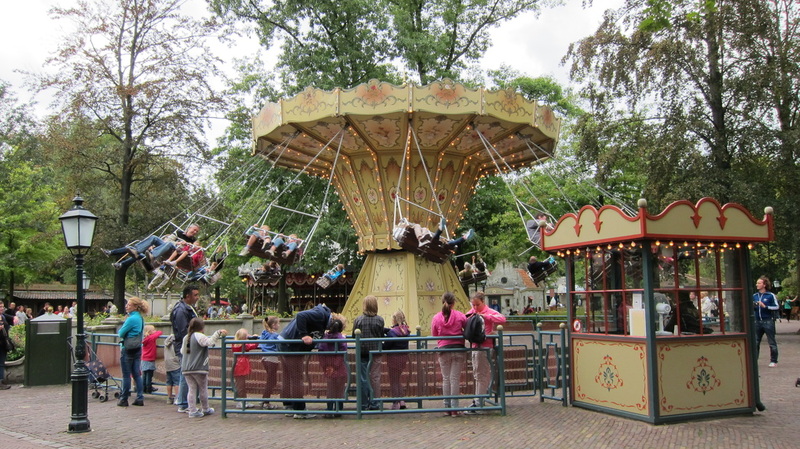 Hold on tight if you don’t dare to keep your arms outstretched! 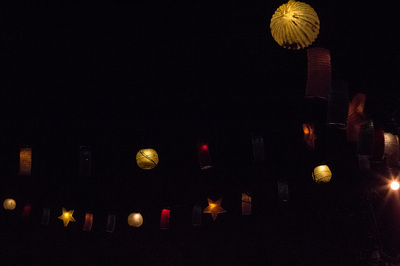 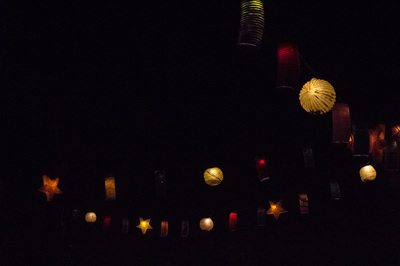 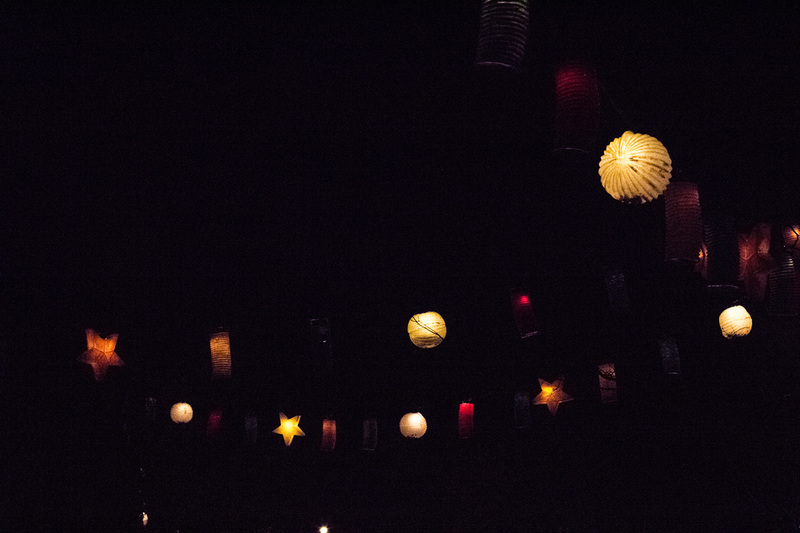 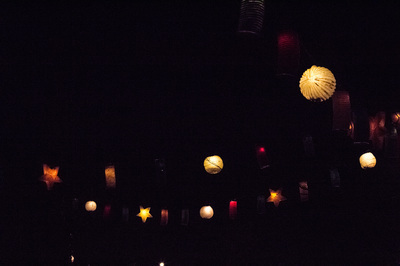 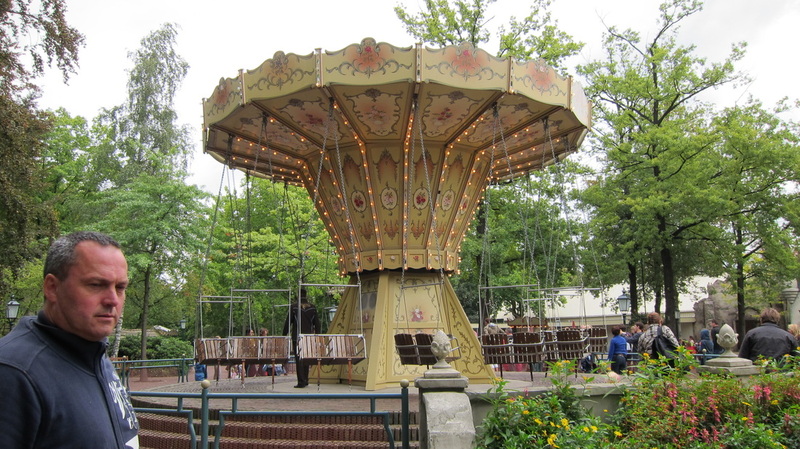 That whirling will make you feel like a bird flying high up in the sky; and look! Everything looks so beautiful. 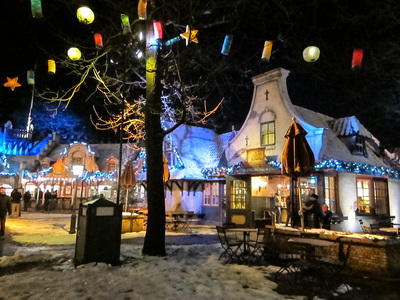 That’s because of the quaint and old-fashioned atmosphere in the nostalgic Anton Pieckplein square. 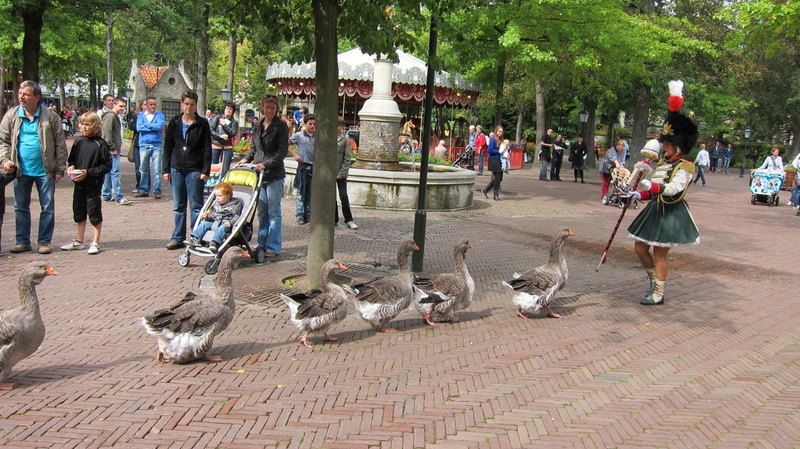 Take a stroll. Who knows, you might even fancy a ride on the Caterpillar if you’re not still feeling queasy after going on the whirligig! 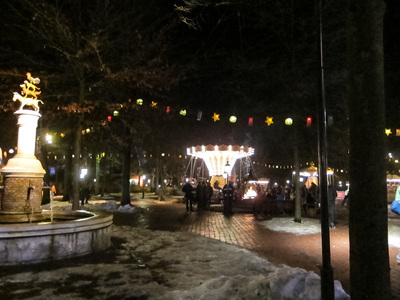 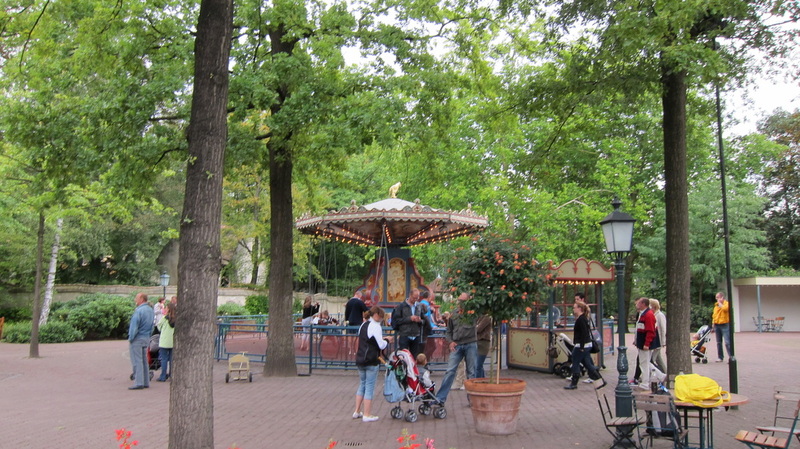 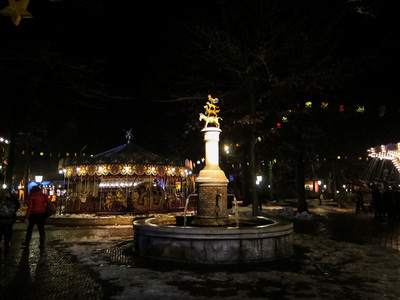 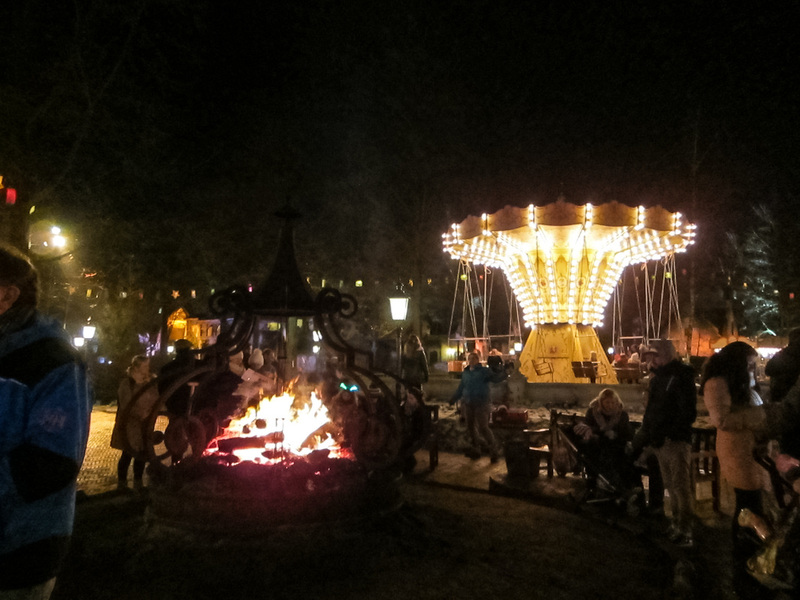 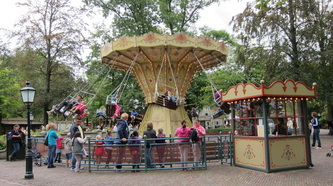 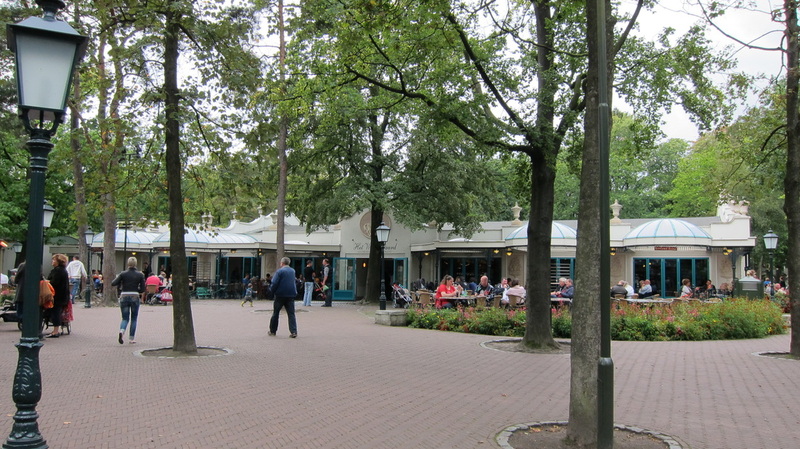 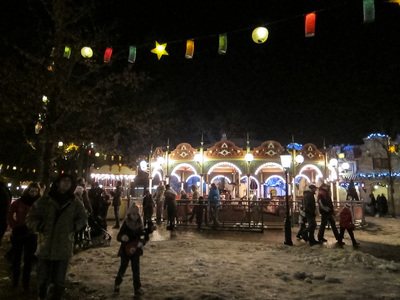 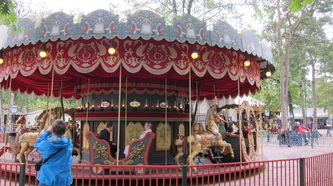 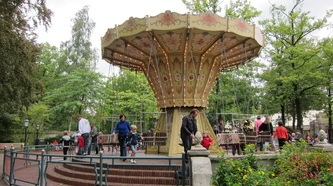 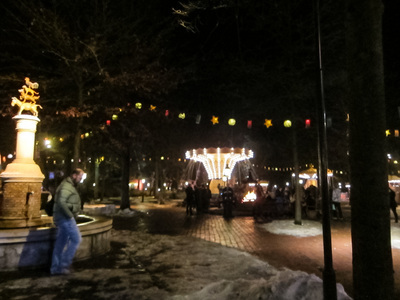 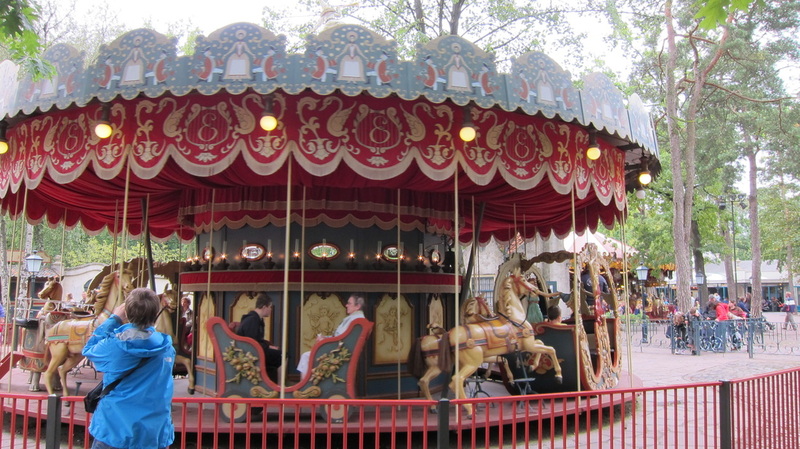 The Anton Pieckplein Square is one of the oldest, most authentic parts of the park and was opened in 1954. 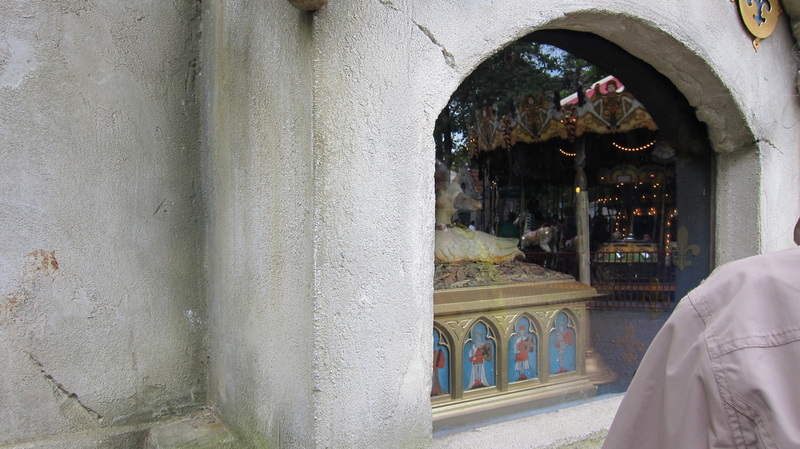 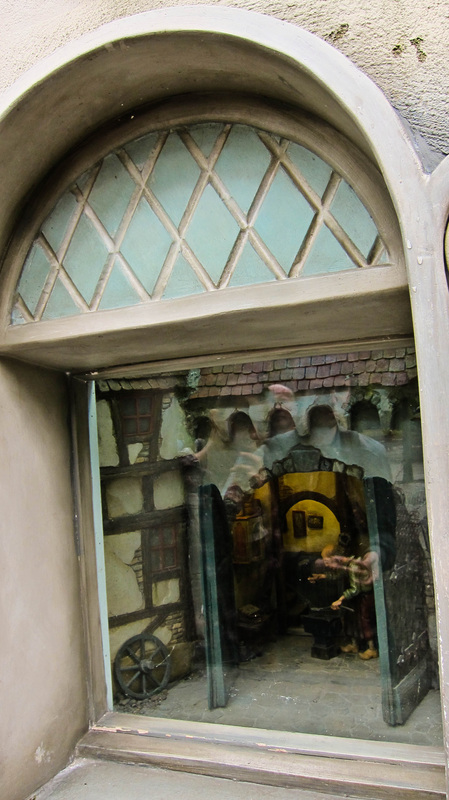 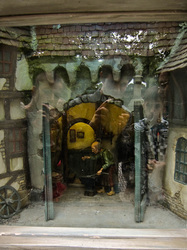 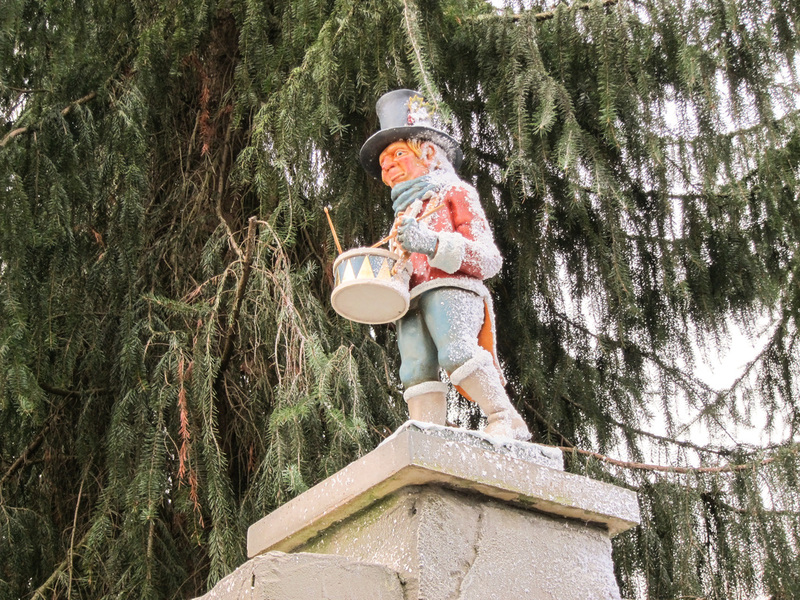 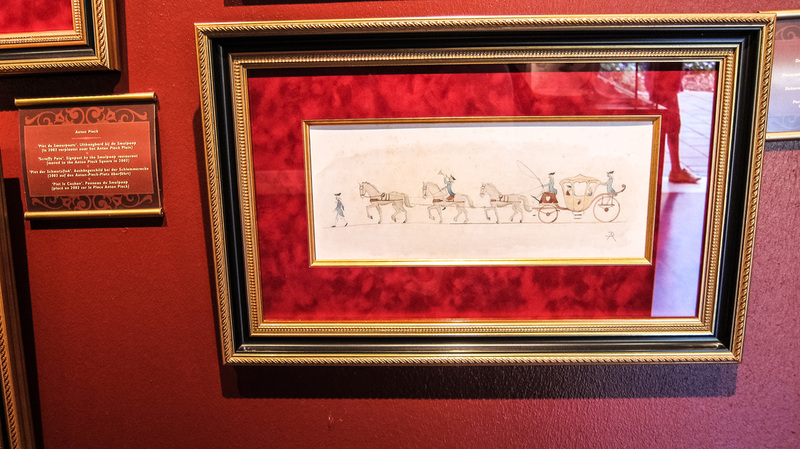 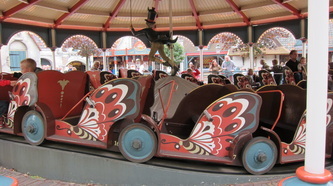 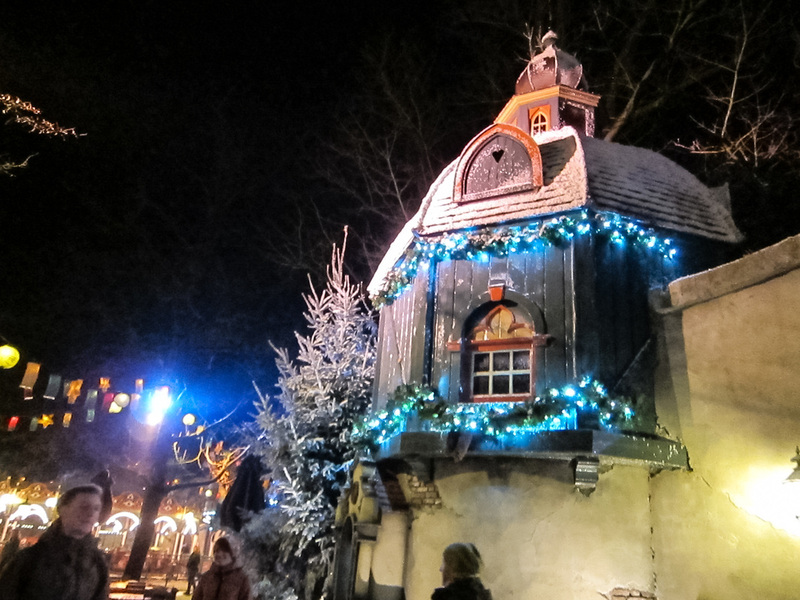 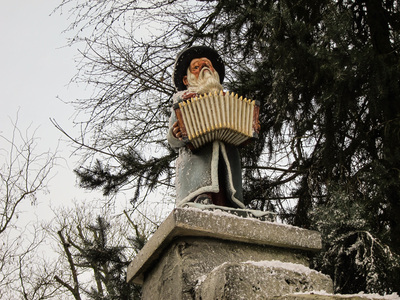 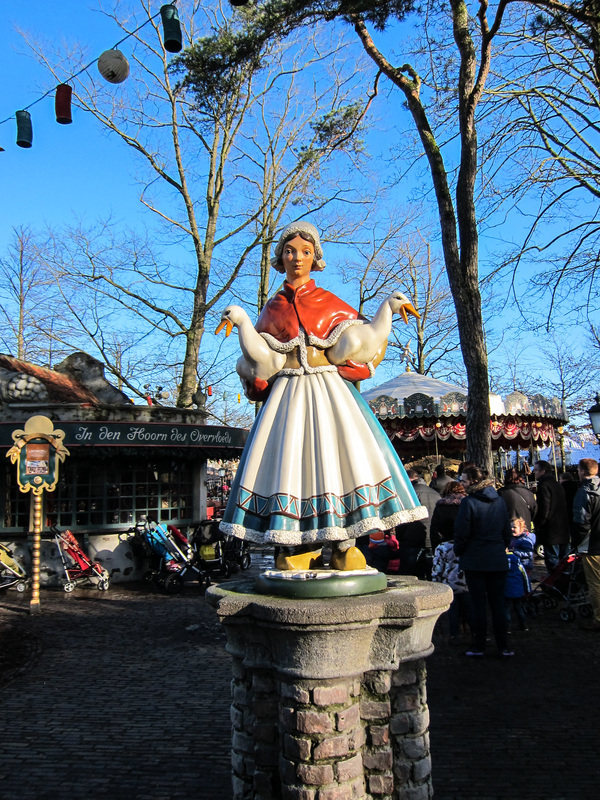 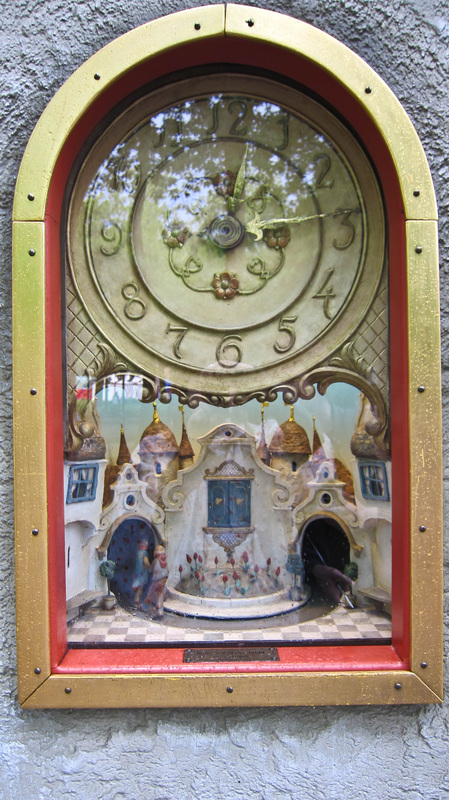 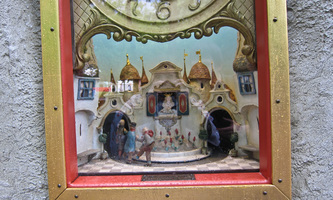 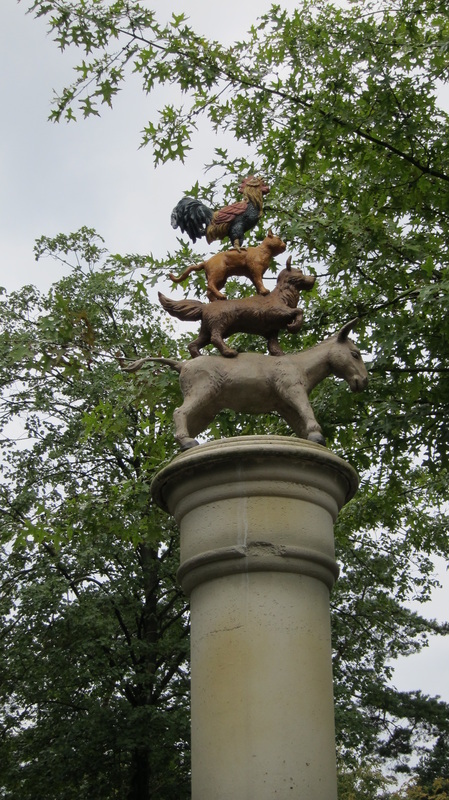 It was named after one of the original designers of the fairy tale forest and master artist Anton Pieck. In the summer of 2003 the square underwent a metamorphosis. 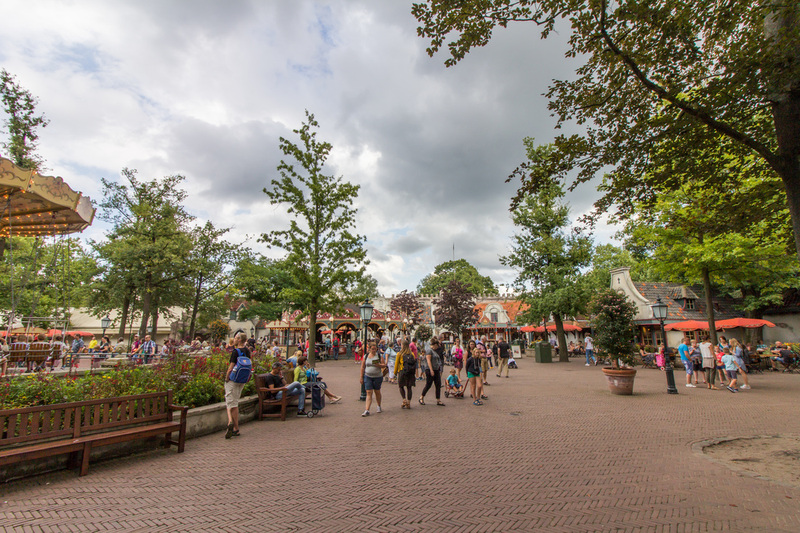 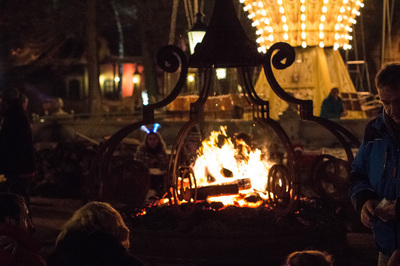 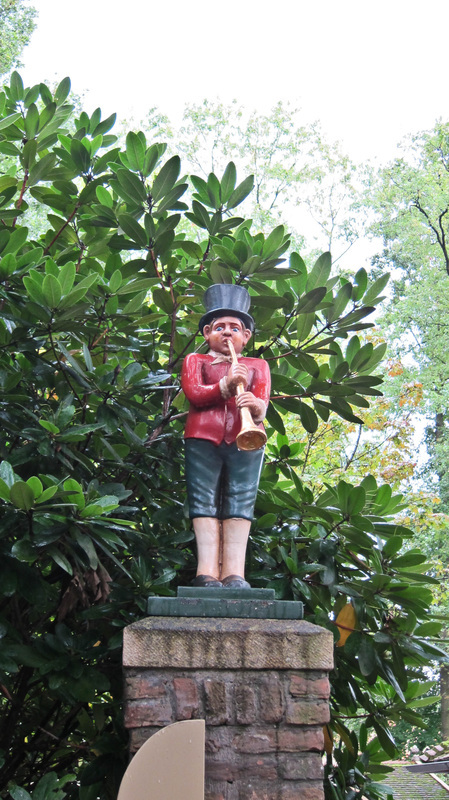 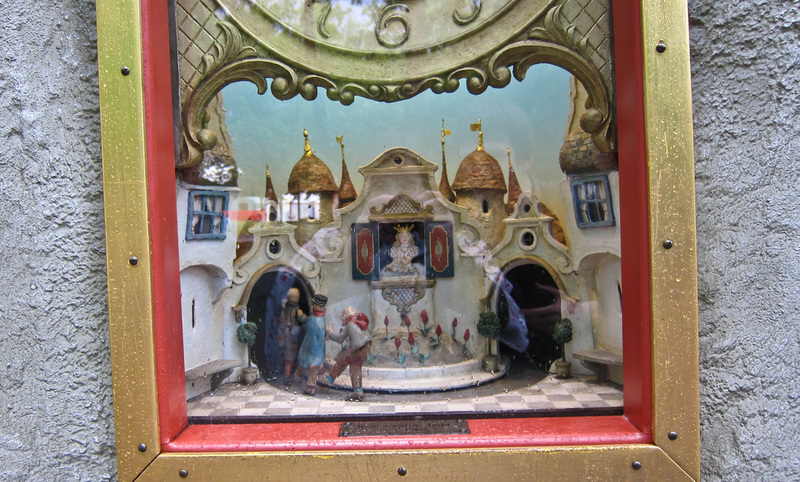 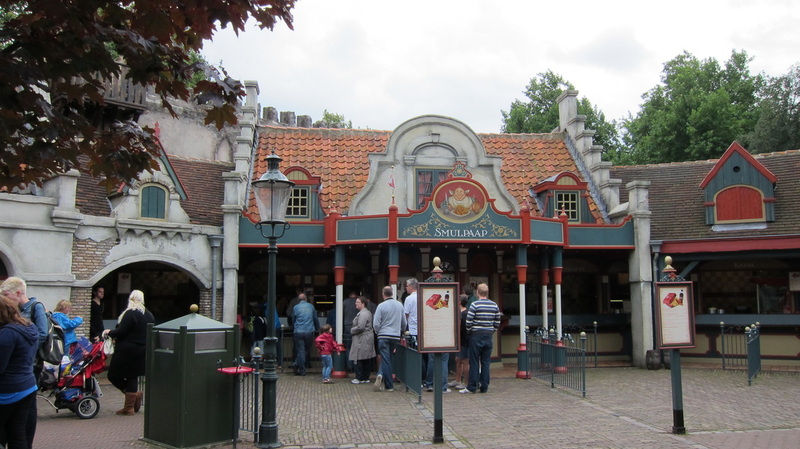 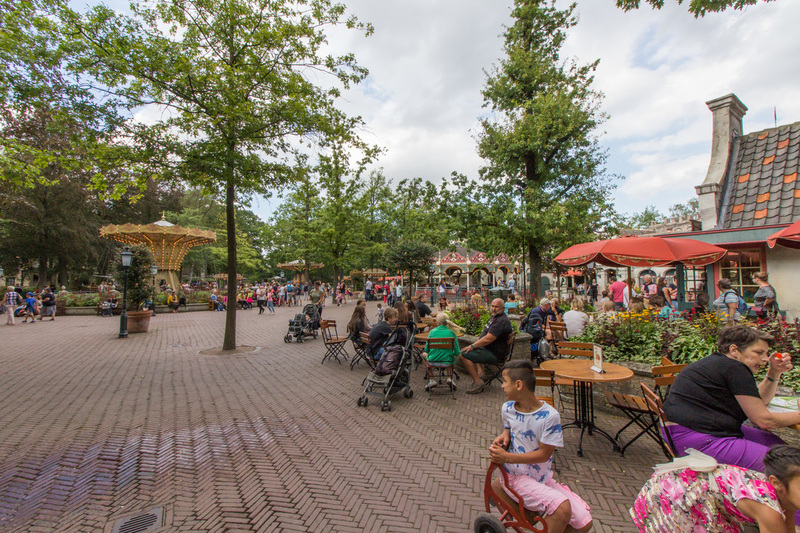 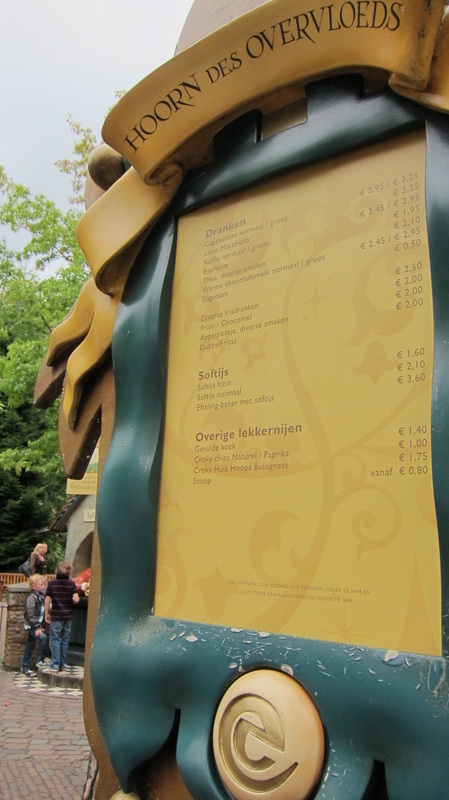 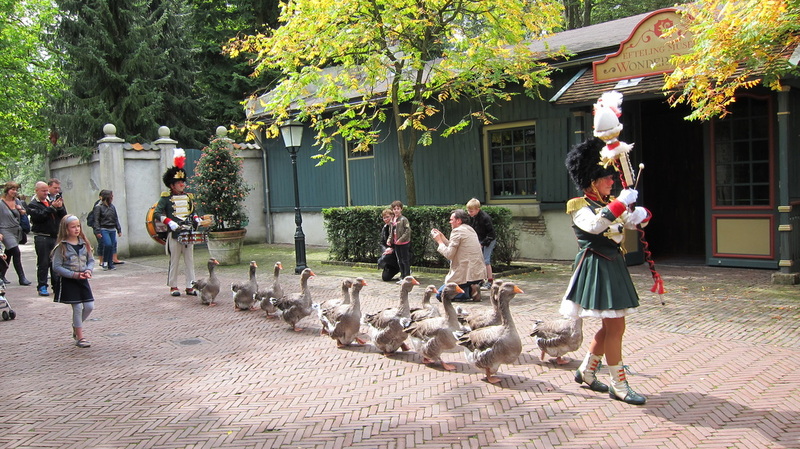 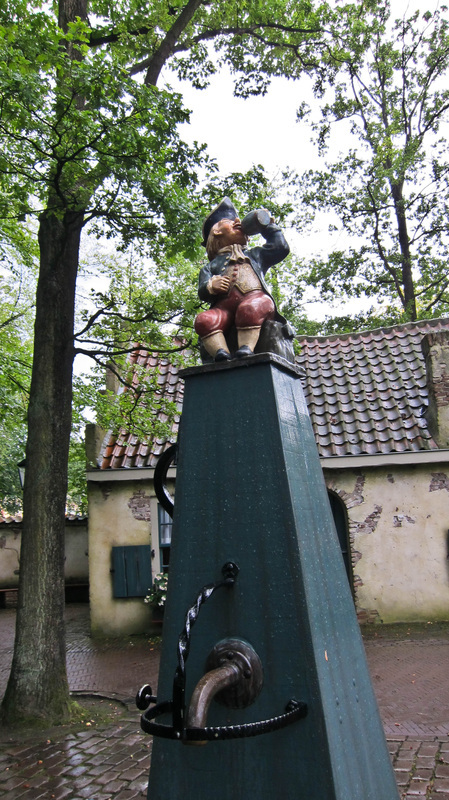 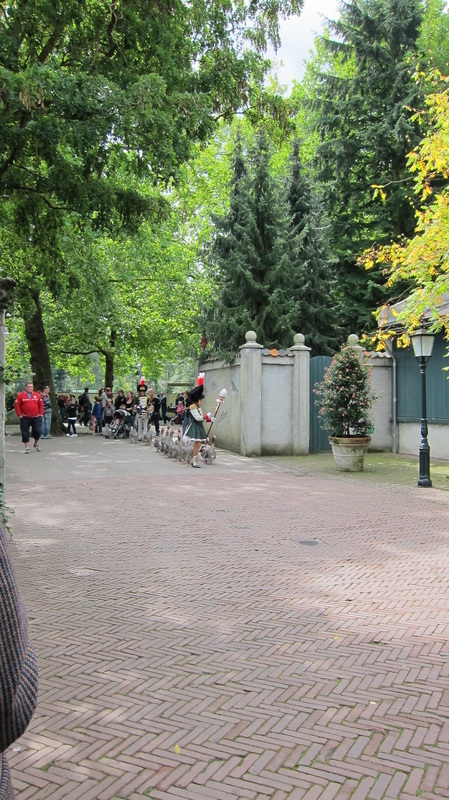 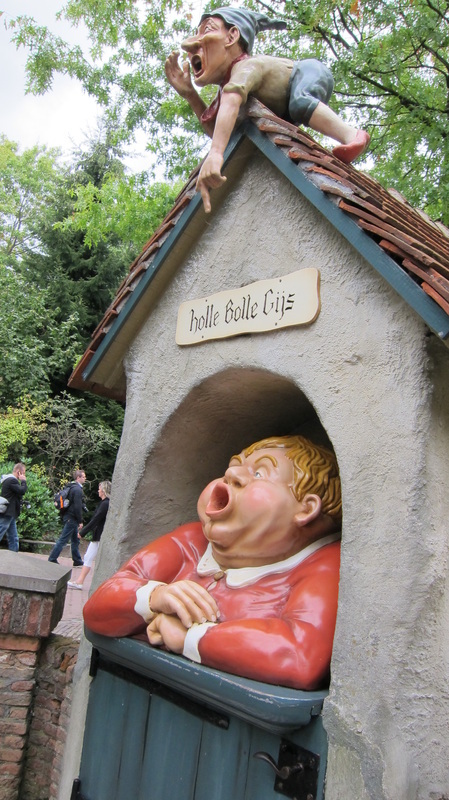 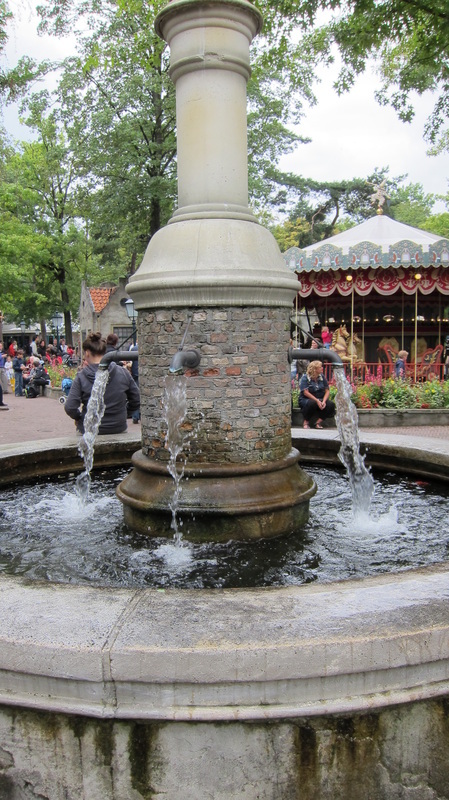 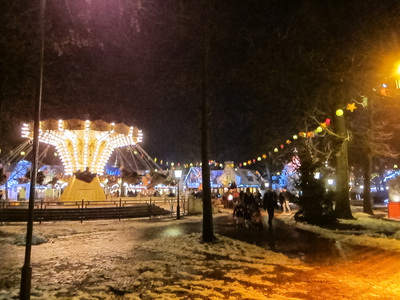 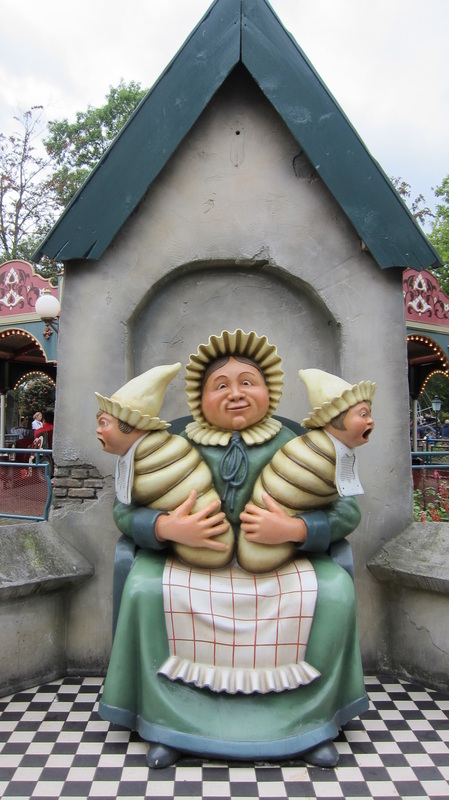 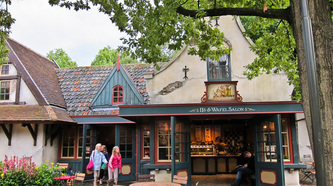 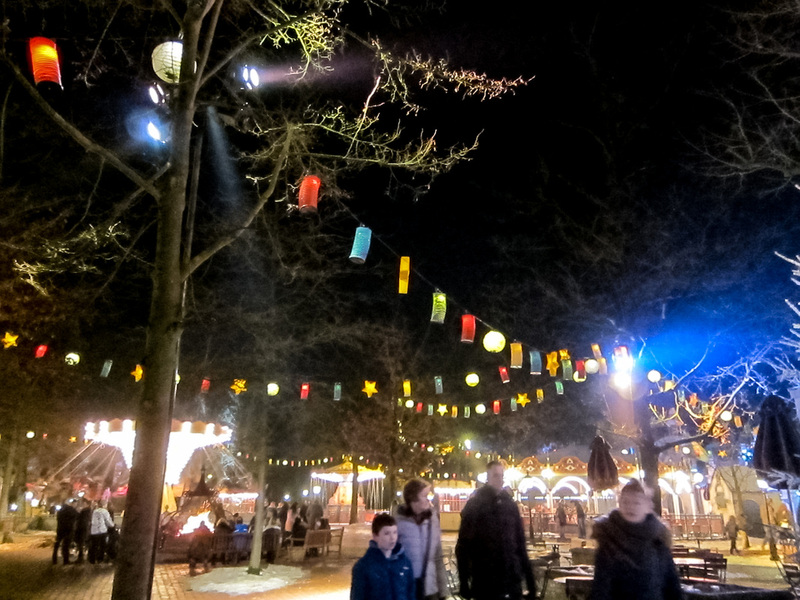 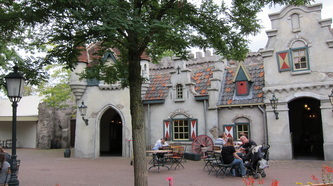 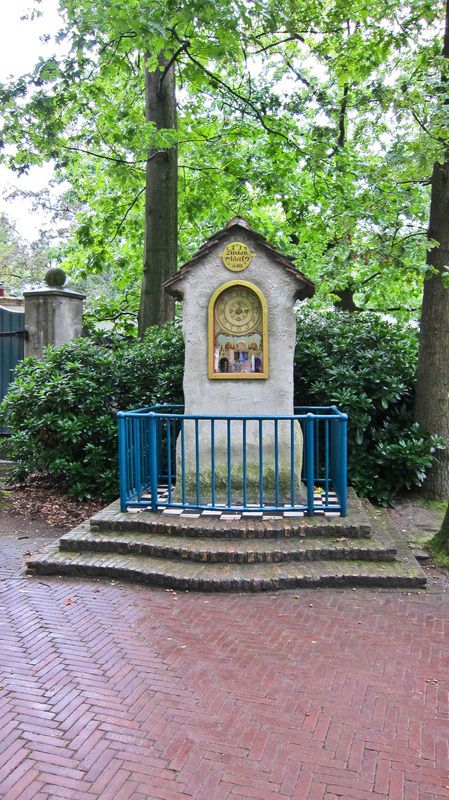 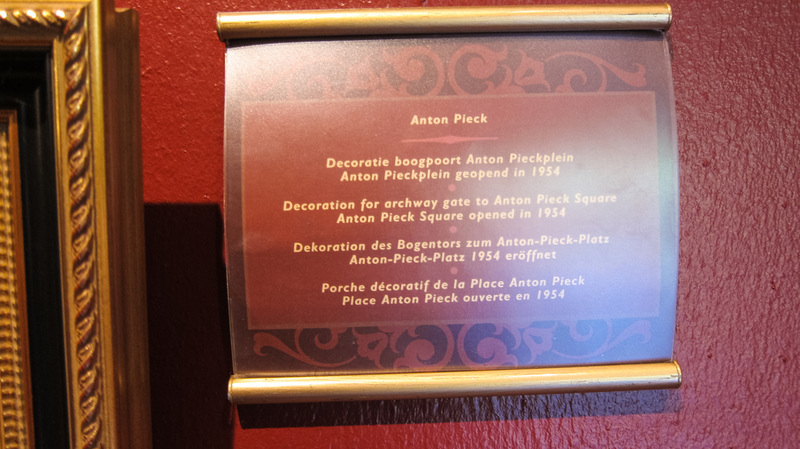 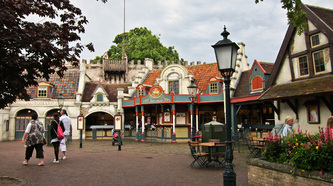 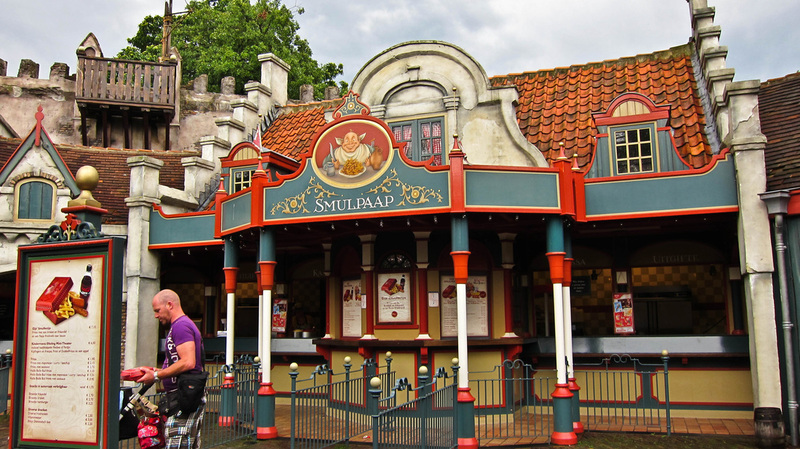 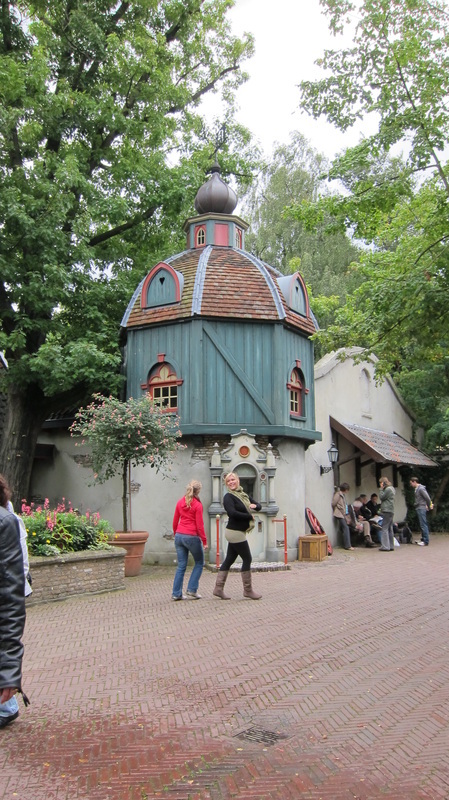 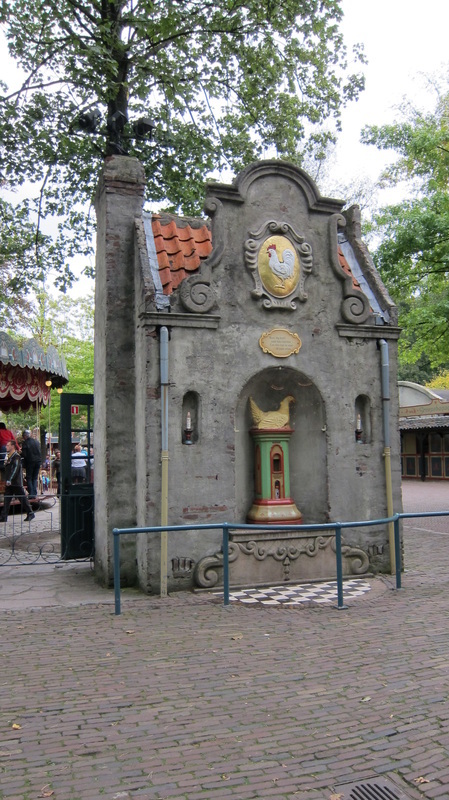 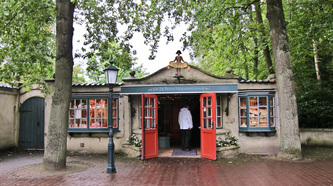 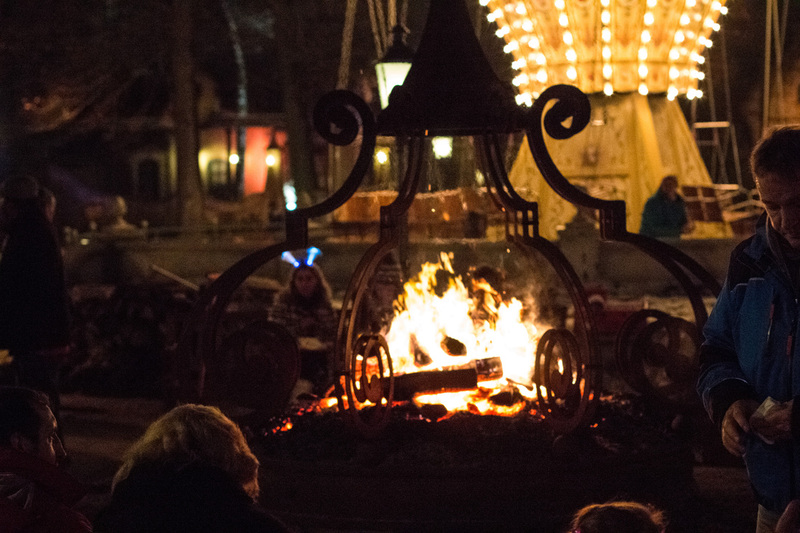 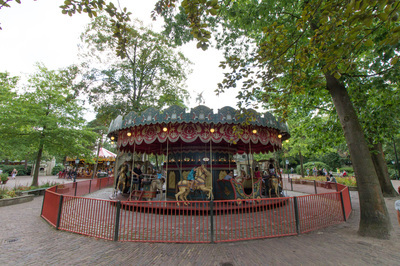 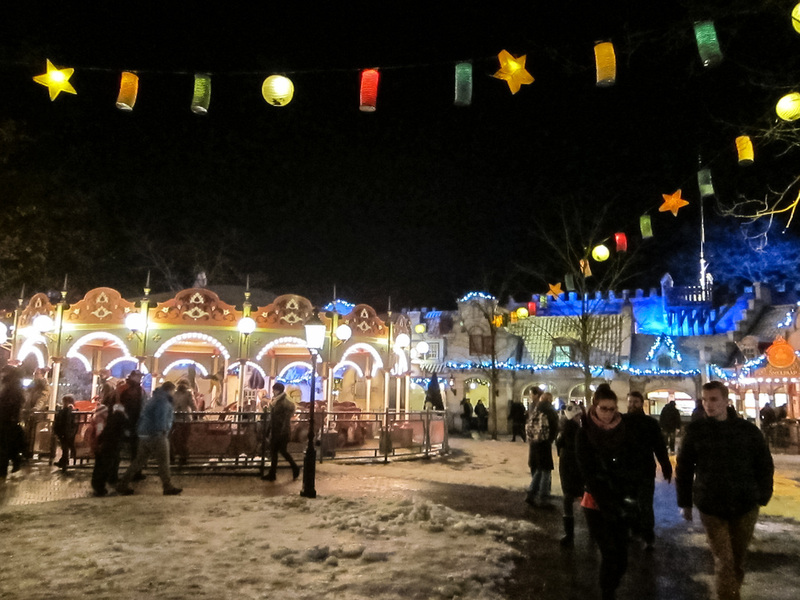 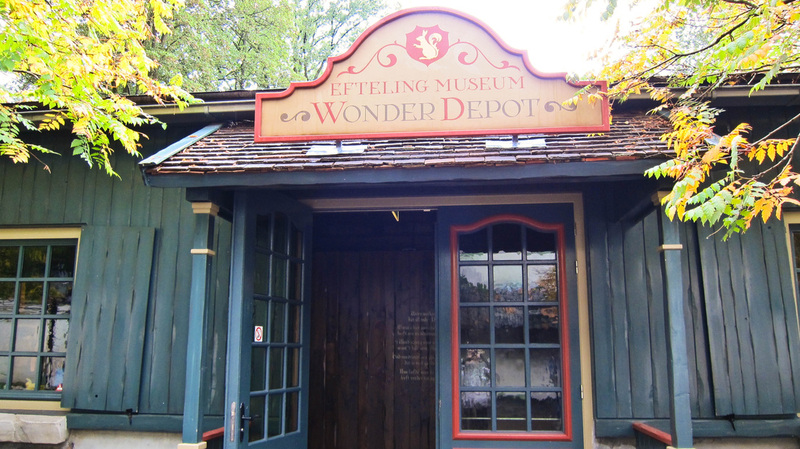 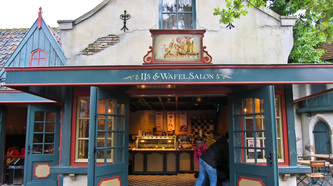 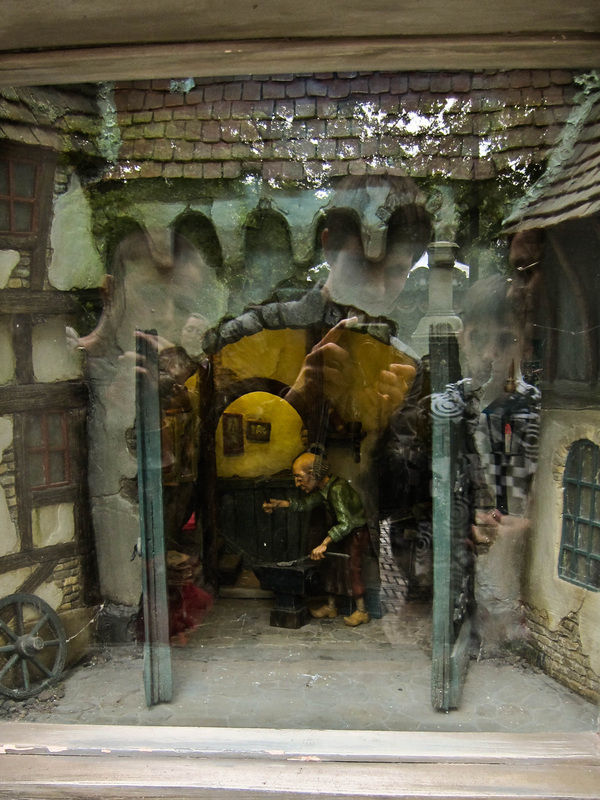 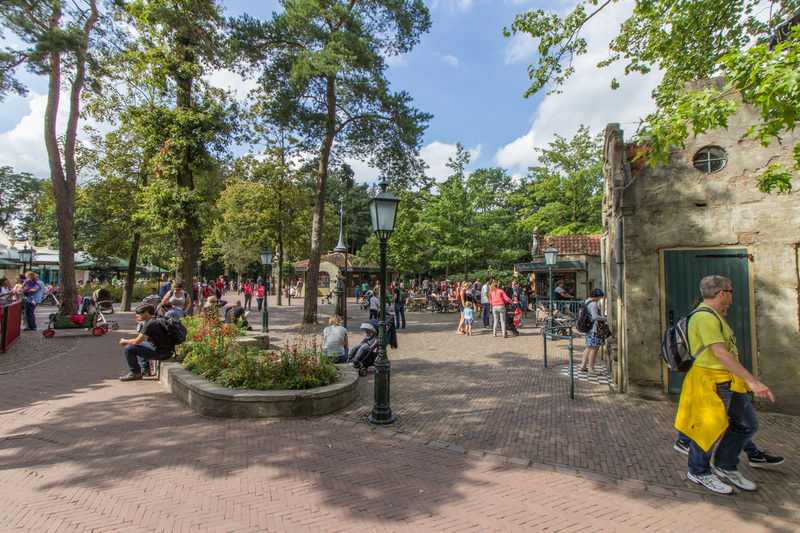 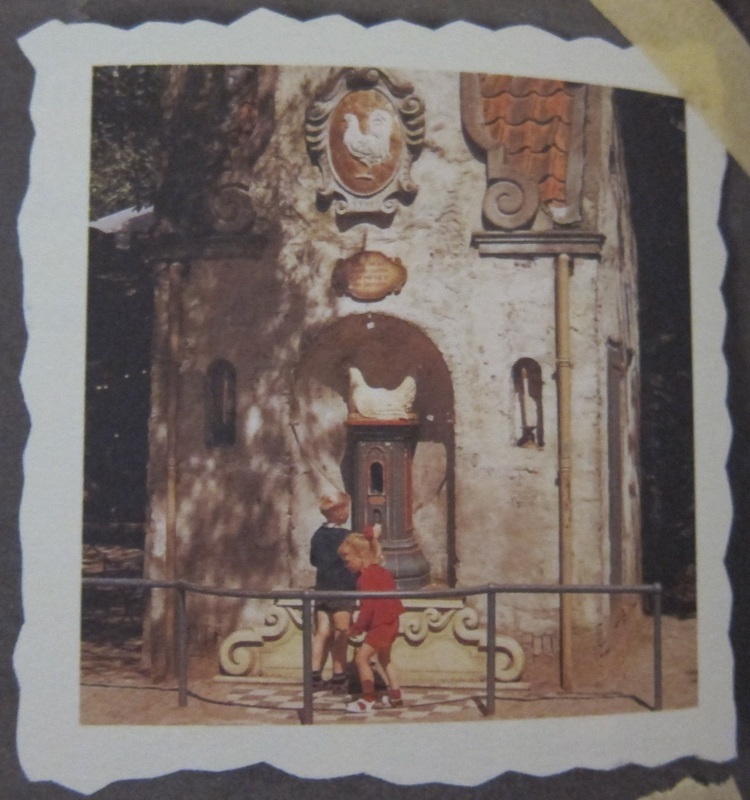 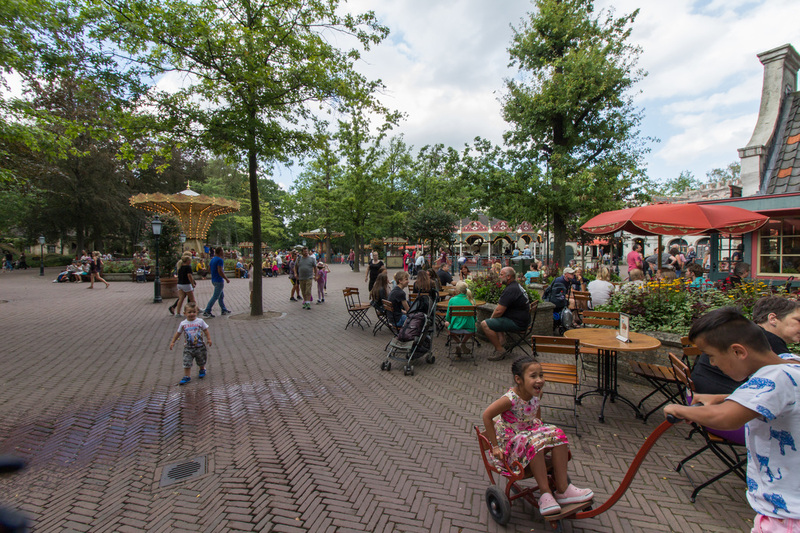 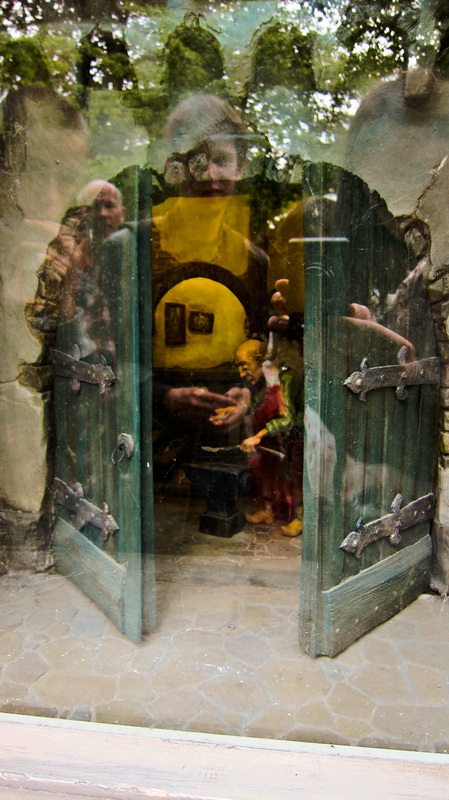 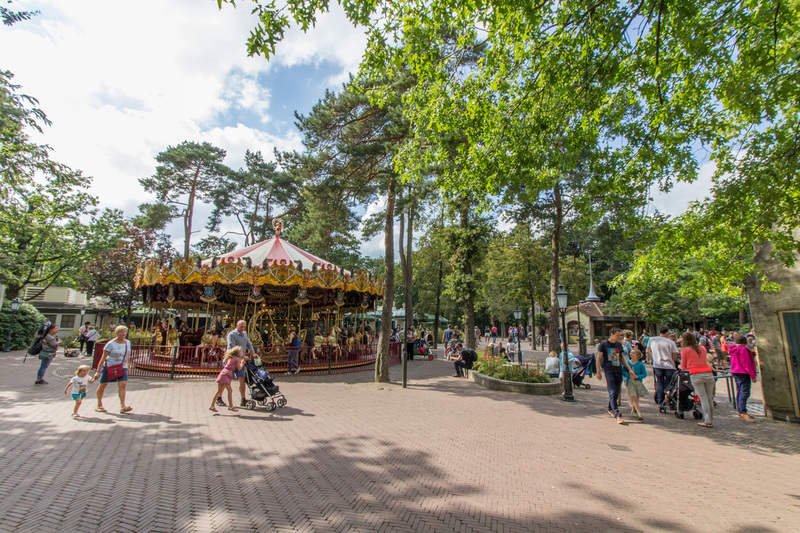 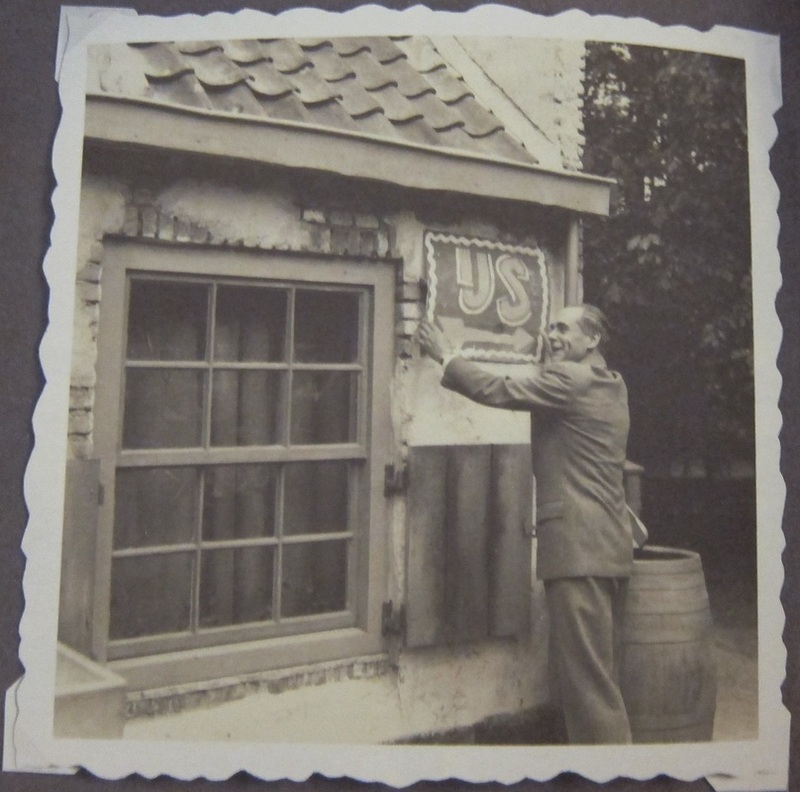 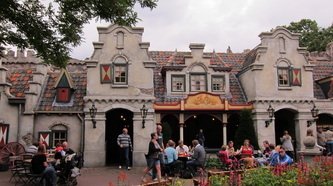 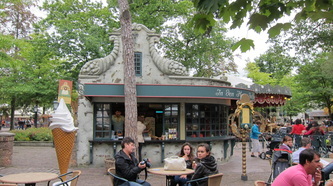 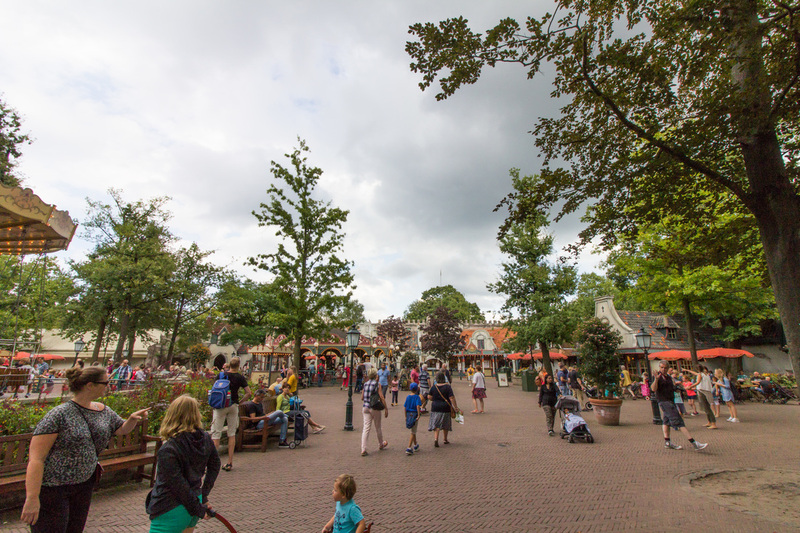 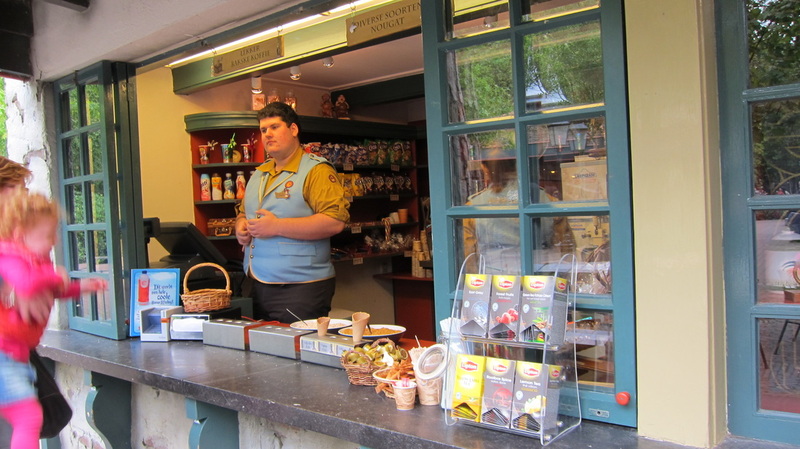 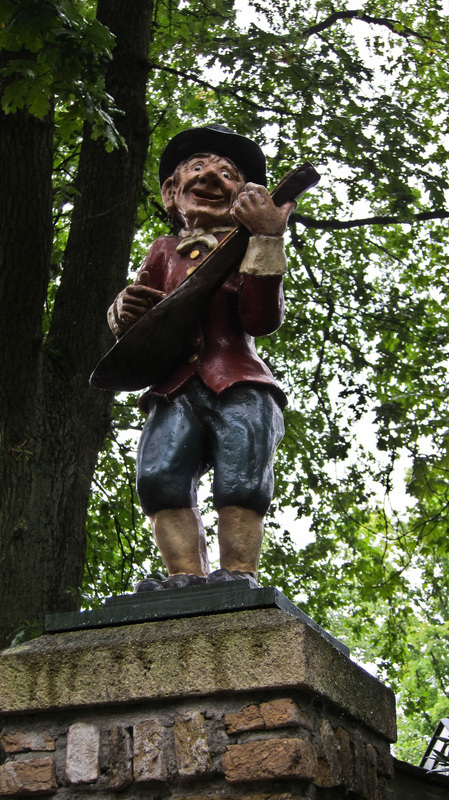 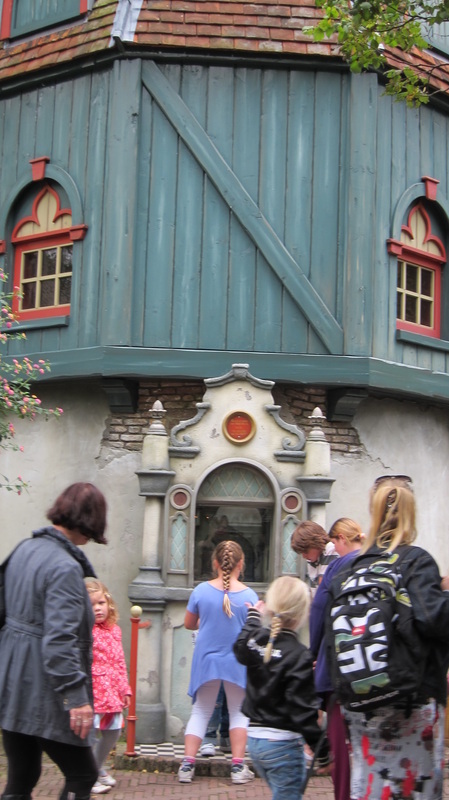 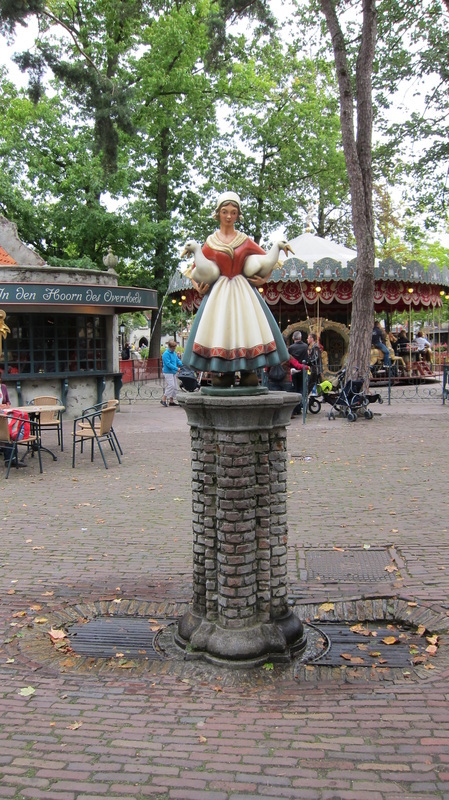 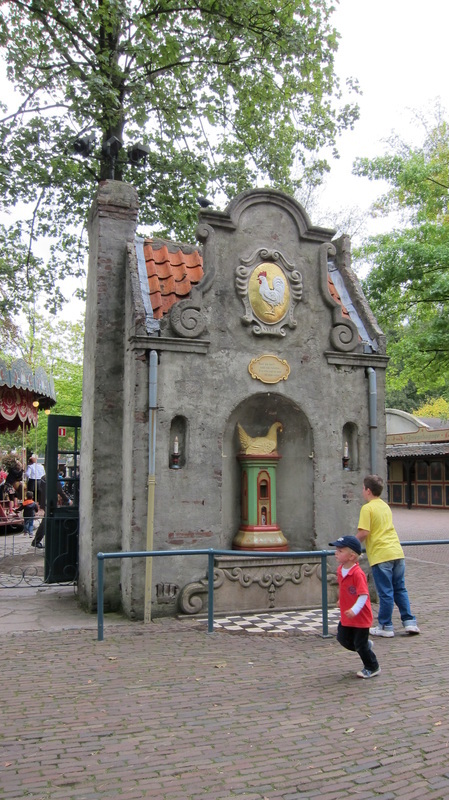 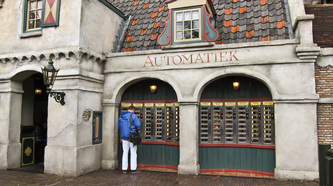 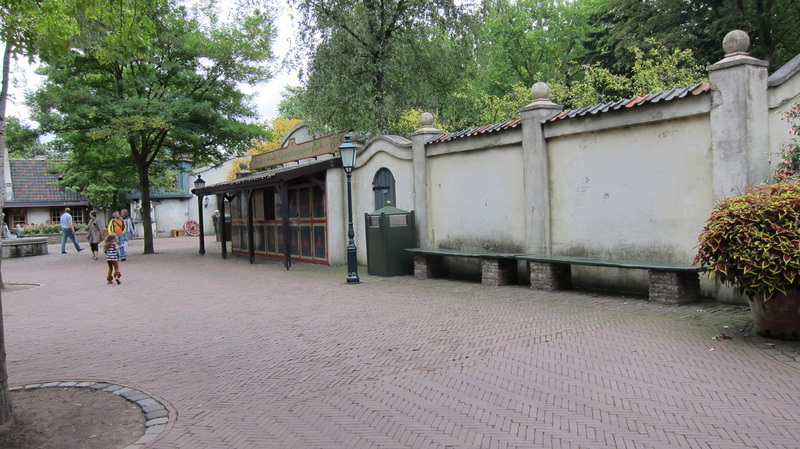 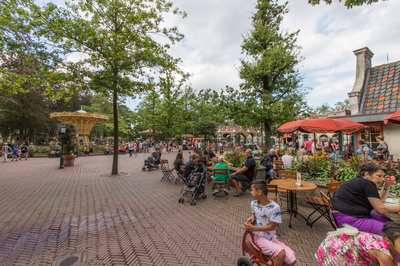 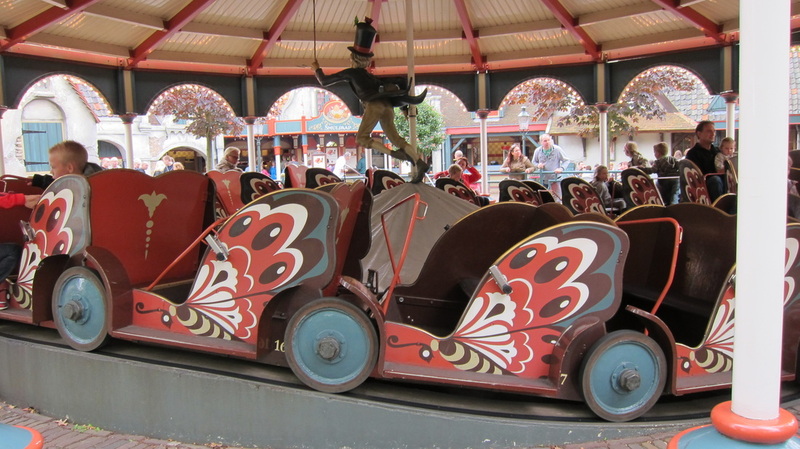 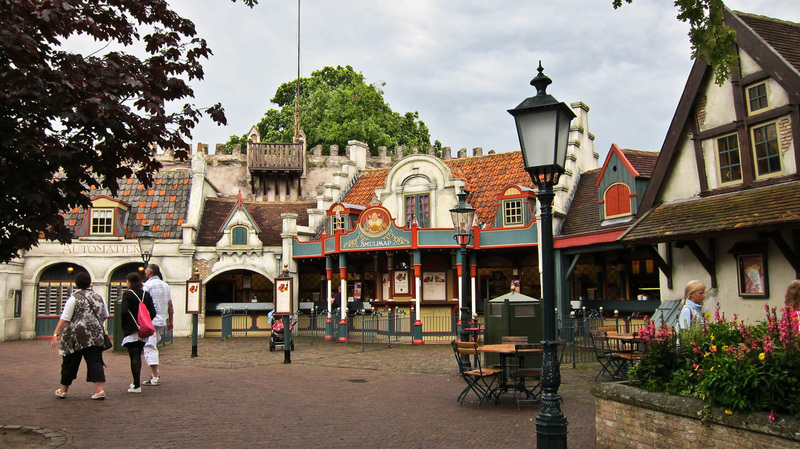 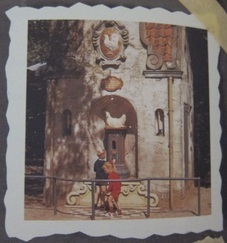 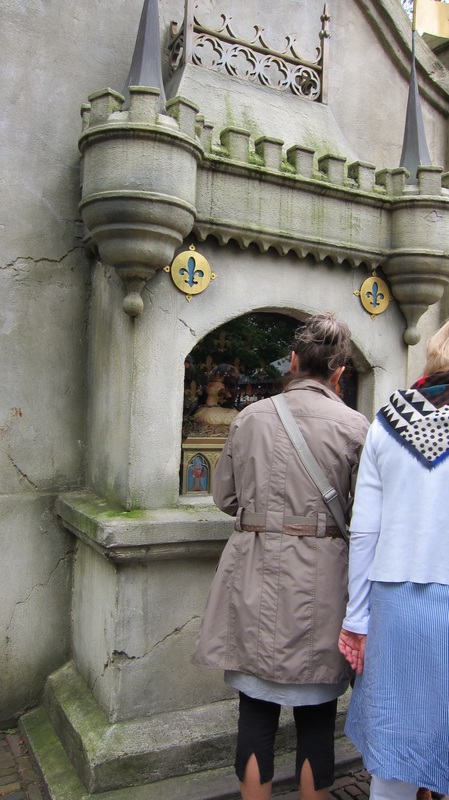 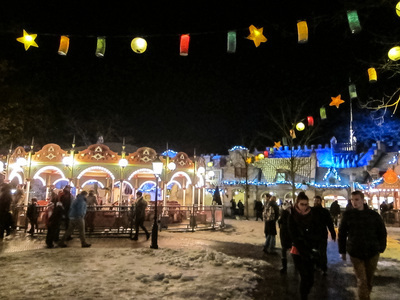 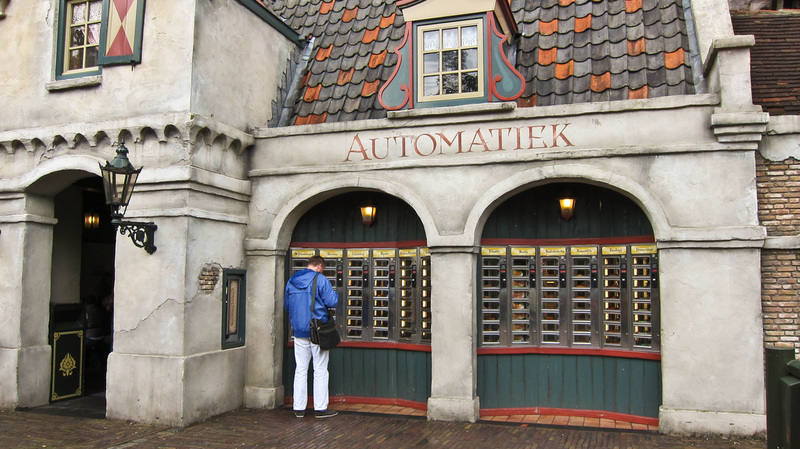 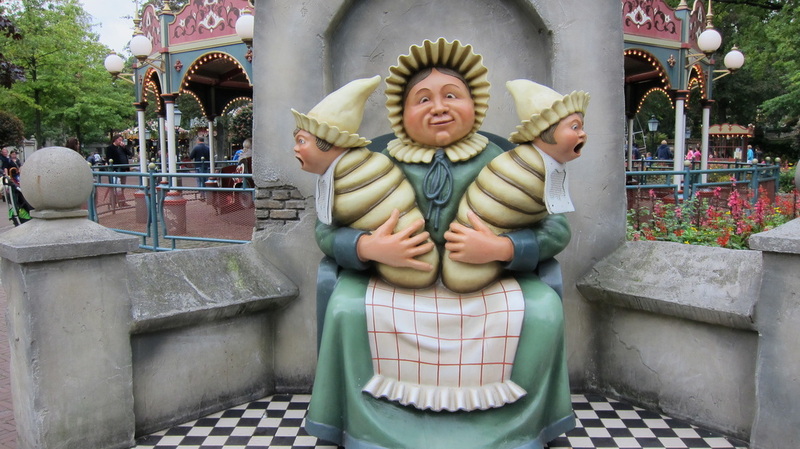 With its souvenir shop, puppet theatre, pump and gates, the Anton Pieckplein Square is the heart of the Efteling! 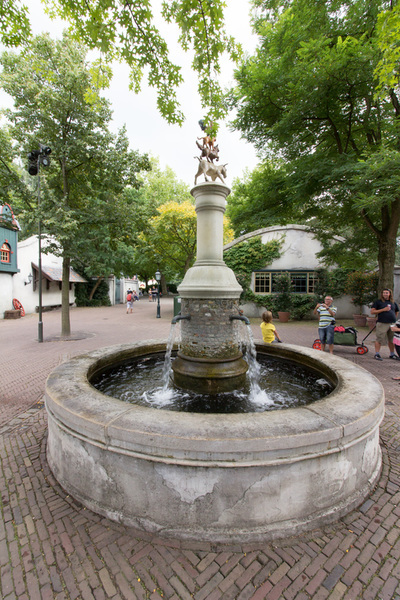 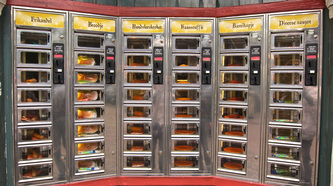 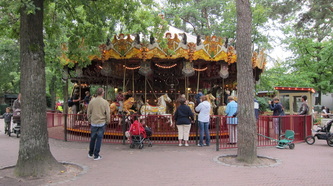 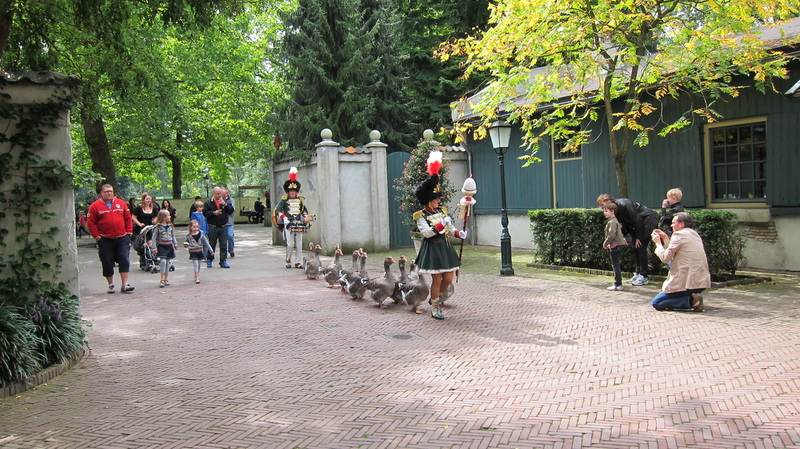 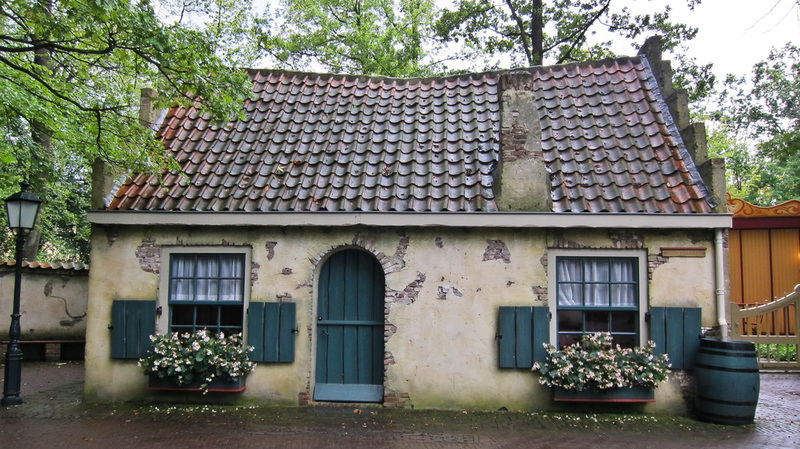 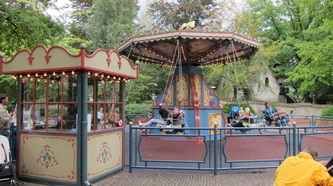 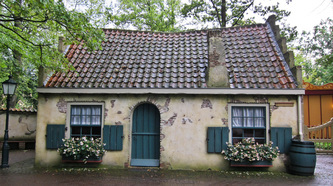 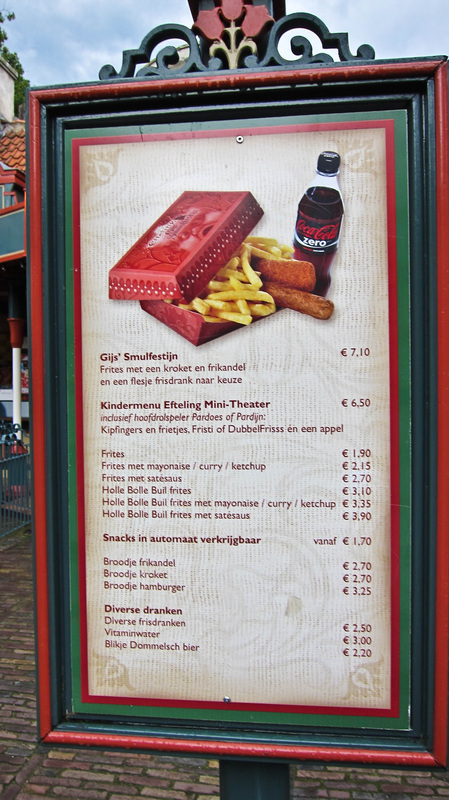 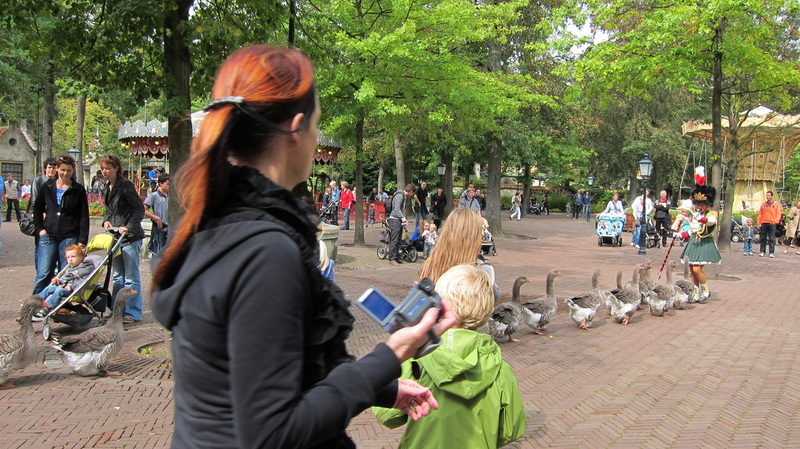 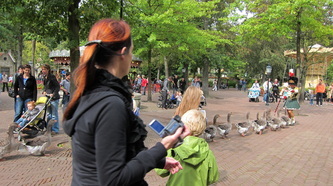 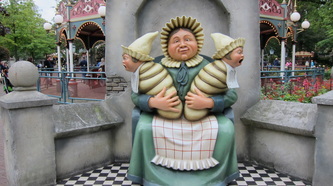 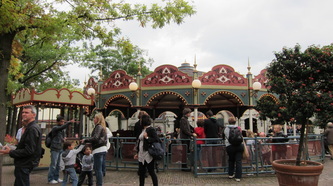 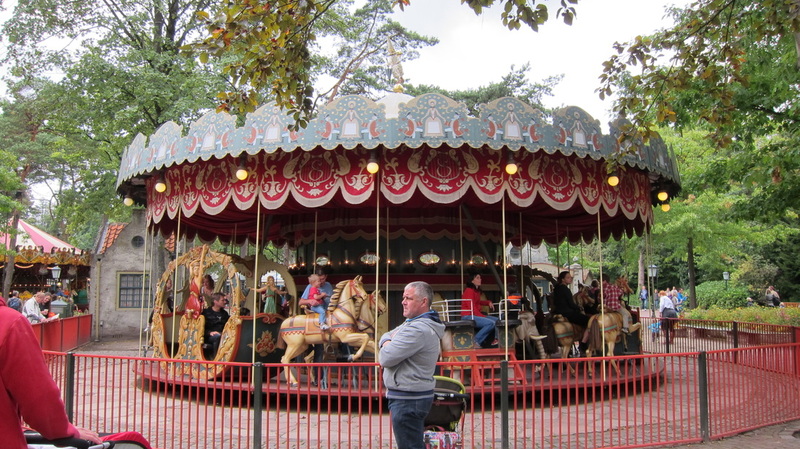 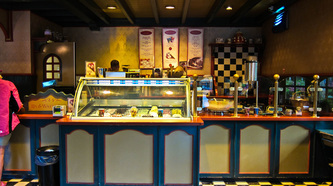 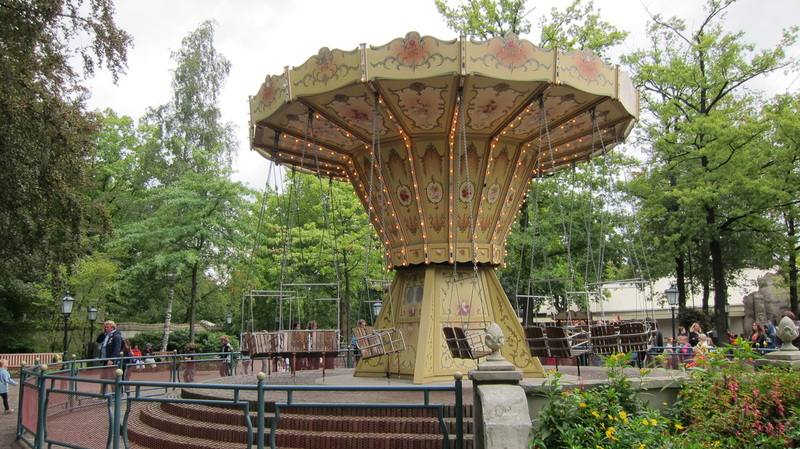 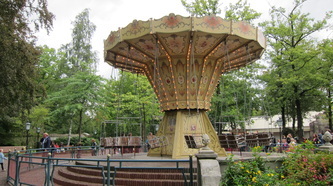 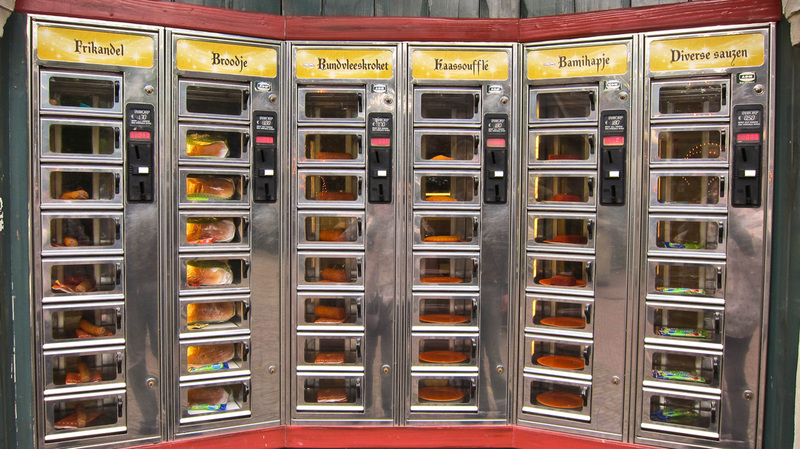 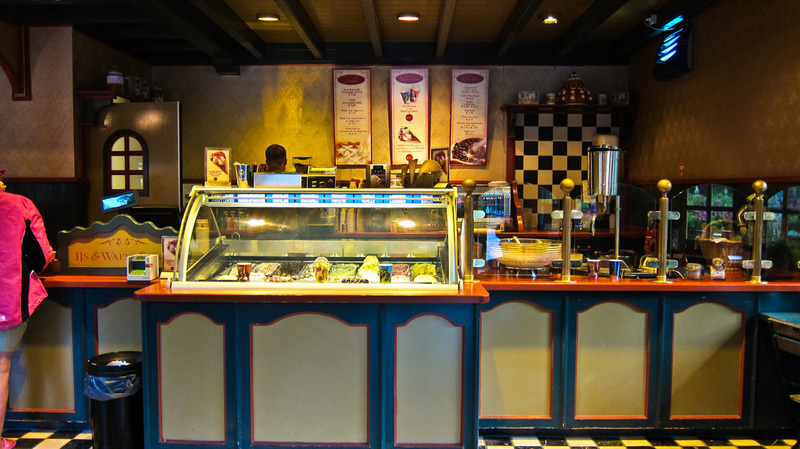 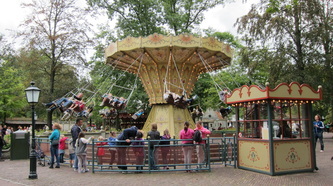 There are six turn and swinging mills, diverse eating facilities and terraces, a fountain and the Efteling Museum.